I had been meaning to give Henry a hair cut for a while now because, as much as I adore his little curls and flippy ends, he was having trouble seeing. His hair would fall right in front of his eyes and only let me tie his bangs back some of the time. I was debating going to a professional, but alas, I decided that we would all be less traumatized if I did it at home. I have been cutting Paul’s hair for our entire marriage and while I am by no means an expert, I thought I could figure it out. Now that we’ve washed it and it’s been a couple days, I see a few areas I want to touch up, but overall it’s okay (I think…). 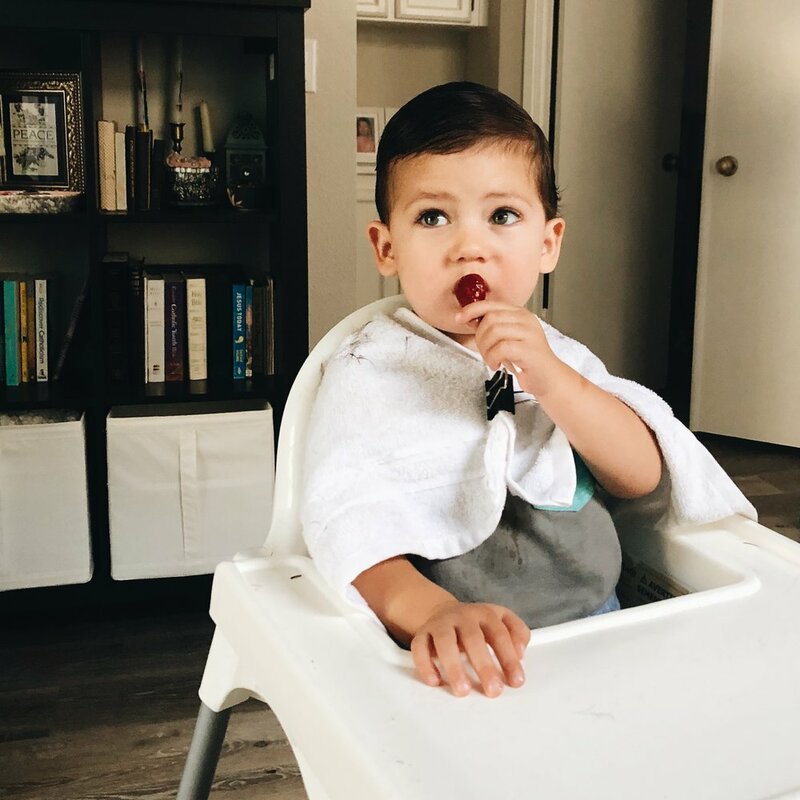 He was a champ throughout the trim and I’d like to give a big shout out to Daniel Tiger and organic lollipops from Trader Joe’s. You’re the real MVP. Now that he has this little hair trim, he looks all grown up and like a big kid and not a baby and again, I’m crying. He’s also talking a lot more and while I know that has nothing to do with the hair cut, he suddenly seems like such a big boy now. And now for a little before and after.